Cedar roofs have existed in America for centuries. Cedar or redwood shakes are original materials used for roofing, and are popular even today. Cedar shakes last for decades and don’t decay easily – as long as they are maintained well. What causes cedar roof damage? In the past, cedar shakes or shingles were laid on top of spaced lathing strips. Today, roofers don’t use lath installation, and instead install the cedar shakes or shingles on the decking with an underlining. However, the problem with such installation is that there just isn’t enough spacing between the felt and the shakes, because of which the shakes retain moisture. The moisture leads to infestation such as moss, mildew, fungi, mold or lichen, which causes considerable damage to the cedar roof them over time. That’s why, if you want your cedar roof to last its full lifespan, then it’s important to have it cleaned and maintained regularly. Why is cedar roof repair so important? Yes, cedar roofs have a natural lifespan of 40 to 60 years, but that’s only if they are maintained well. Normally, it takes 10 years after the installation for homeowners to notice an infestation of green moss or mold, the dark growth of fungi or the brown colored lichen on the roof. Around this time, you may start experiencing roof leaks as well. The important thing is not to panic when you see the evidence of a roof leak. Any active roof leak can be fixed by a licensed roofing specialist such as the Beaverton-based America’s Best Contractors, Inc. Performing cedar roof repair on time prevents water damage and ensures the shakes don’t lose their integrity. This way, you won’t have to worry about replacing the roof prematurely. For sure, there are some overhead leaks caused due to a torn shingle or a tiny hole in the flashing which you can handle yourself with some basic roofing tools and DIY experience. But for the more serious leaks, it’s better to call a roofing contractor who has the expertise to deal with such situations. 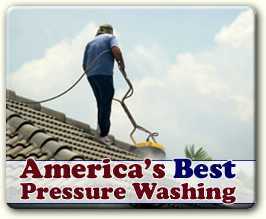 Any roof leak should be fixed on an urgent basis; otherwise the water damage can spread quickly across the roof. The damage, which begins with a small leak, can escalate quickly. 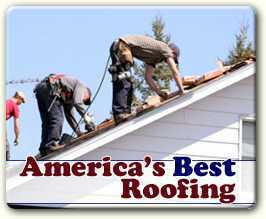 There are generally 5 reasons to contact a licensed roofing contractor. There are multiple leaks in the cedar roof. A repair that you made yourself recently isn’t holding up and the roof has started leaking again. The leak is spreading across the roof and the walls, but you have no clue about the source of the leak. The damage to the roof is so serious that you cannot depend on your DIY skills to repair it. There’s been a lot of damage to the roofing surface because of the leak.